HomeDigital ComicsAndroid ComicsDark Horse Digital Sale: It’s The Fett Sale! 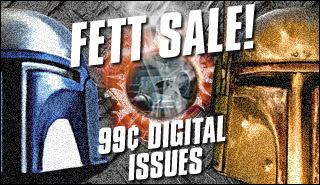 Dark Horse Digital Sale: It’s The Fett Sale! This weekends Dark Horse sale is all about the two fear bounty hunters- Jango and Boba Fett!